When it comes to work, people often say that it is now difficult to search for jobs. But don’t they just know that there are plenty of companies helping out those people who are jobless? One of good examples is those who just recently graduated in college. Call center is one of the most known jobs nowadays which is open for those who just graduated in college. This may not be the ideal work for everyone especially those who don’t have connection to their course they graduated in yet this indeed gives a big opportunity for them to earn instead of doing nothing at all. Good thing that there are plenty of call center companies nowadays invading our country to help our fellow ones to have work while waiting for their ideal job. And one of those companies which are about to grow faster and more in our country is The Results Companies (Results). 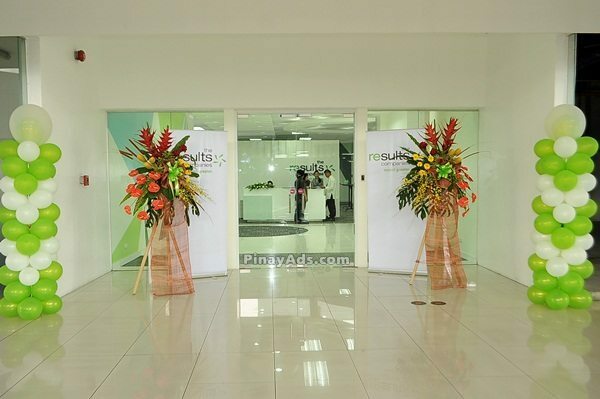 I once worked as a call center agent in one of the call center companies in the country, and I believe that this newly opened branch is a great opportunity to ones like me. Since I do live in Cainta, it is indeed a very big help to the people who live in our place. It is because it will generate more employees and income to the residents and municipality of Cainta. Joining Results’ Silver City and Eastwood locations, the opening of the Q Plaza facility and continued growth of Results will create more than 500 new jobs in 2012. The new location will include a significant support structure of operation managers, supervisors, trainers and quality roles. 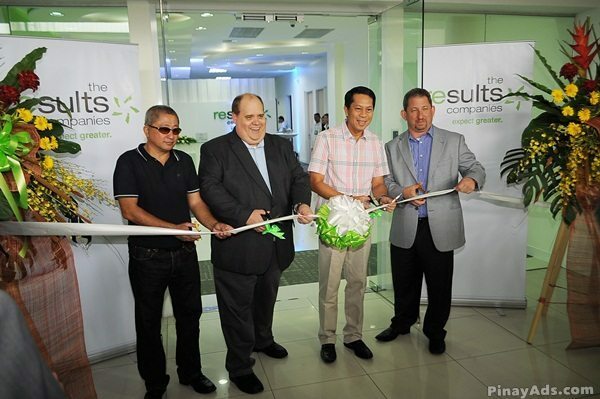 Shown in photo during the ribbon-cutting ceremony are (from left) Arturo Sicat, Vice Mayor of Cainta; Kevin Betts, Executive Director of The Results Companies; Ramon Ilagan, Mayor of Cainta; and Alec Brecker, President and Chief Executive Officer, The Results Companies. For more than 20 years, The Results Companies has served as a premier global customer solutions provider for Fortune 500 companies. With over 5,000 employees in 11 near shore, off shore and domestic customer contact centers, The Results Companies’ expertise extends beyond call centers. We’re experts in representatives, analytical technologies, brand fulfillment and creating strategic advantages for our clients. Visit TheResultsCompanies.com to learn more. The company is accepting applications for sales agents and support positions through their website at www.theresultscompanies.com/jobs. If you are interested, then send in your applications now! hehehe.. wrong ispeling ang pucha! dapat kasi seyvin ang iskeyjule e.